Tokyo Skytree opened in May, 2012 and has become one of the most touristy sites in Tokyo. The closest station Tokyo Skytree St. used to be called Narihirabashi St. , named after a nearby bridge. The area around this bridge was wetland in the past, famous for shijimi (freshwater clams). Morning in Edo (old name for Tokyo) started with the voices of the vendors selling shijimi and natto (fermented soy beans) on the streets. One of the typical Japanese breakfast menu – rice, natto, shijimi miso soup and pickles, was already established in the Edo period. Shijimi has been popular from the old time not just because it’s cheap and accessible, but also because its medicinal effect is well-known. It was used to cure jaundice and to help mothers make more milk in that time. Still now, shijimi jiru (miso soup with shijimi) is one of the popular hangover cures. This savory, nourishing soup is super easy to make. Here’s a basic recipe. Ingredients: water, shijimi clams, salt and miso paste. 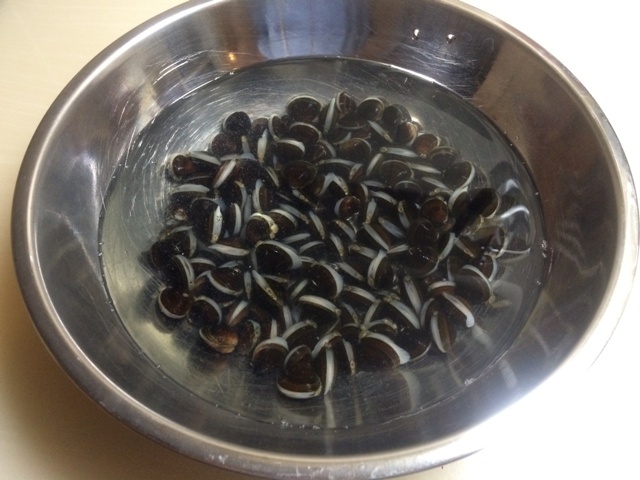 Remove sand from the clams by leaving them in the salt water (salinity: 1%) for 3-5 hours in the dark place. Then wash thoroughly. 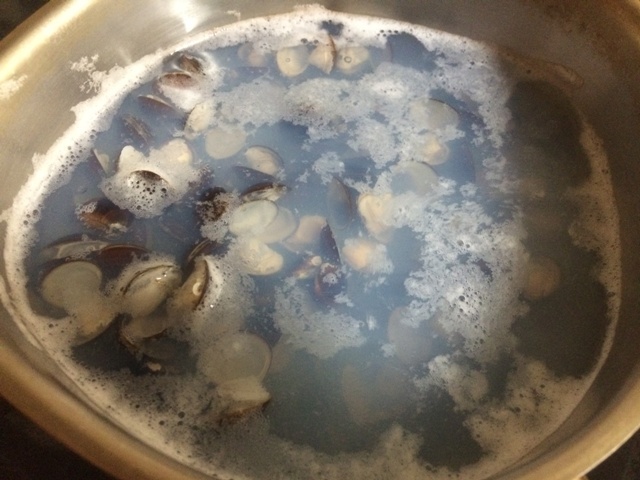 Place water and shijimi clams in the pot and simmer until it’s boiled. Skim off the scum from broth. 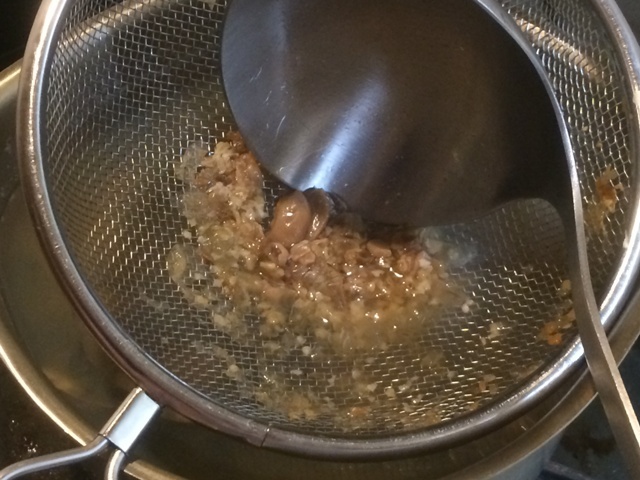 *I use a strainer to make the soup smooth by preventing large particles of miso paste get into the water. 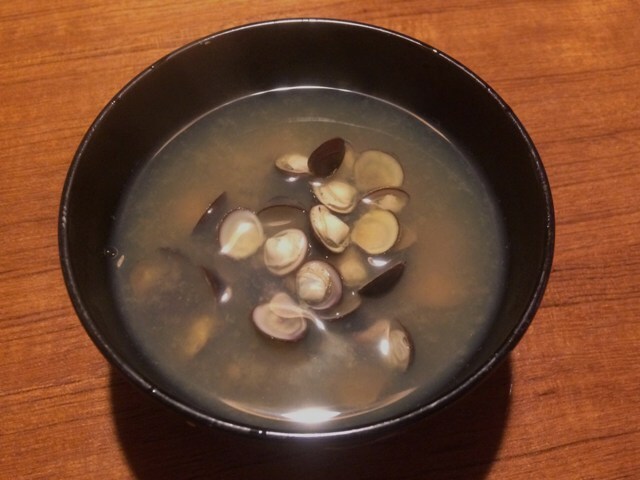 I don’t use dashi for miso soup when using clams to enjoy their pure taste. You can arrange it by adding sake, grounded sansho pepper and/or green veggies like mitsuba (Japanese chervil) and scallions.